With Barbara Gordon's mind shattered in the wake of The Fugue's psychic assault, it will take a miracle to bring her back at all, much less as the woman she once was. Luckily, Frankie still has the digital back-up that Barbara made of her mind - the same one that took on a life of its own and became a hostile artificial intelligence. 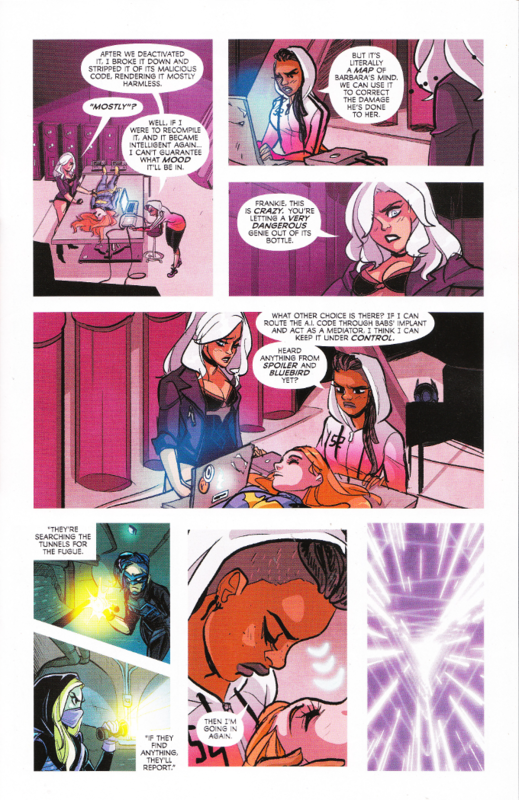 But even if Frankie can keep Babs' wandering mind under control, can it still be used to determine which parts of Barbara's memories are real? This issue utilizes its multiple artists to marvelous effect. 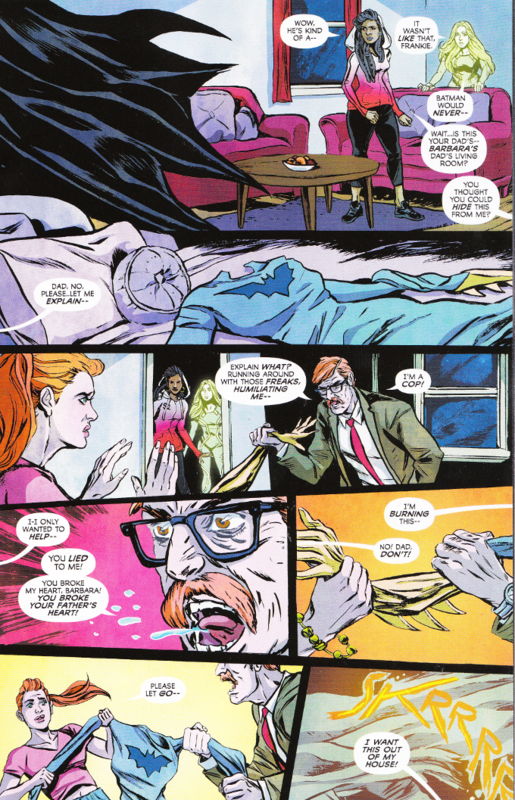 Having different artists with vastly varied styles draw the various aspects of Barbara Gordon's mind visually symbolizes the conflict of the issue perfectly. The final effect crafts a perfectly jarring counterpoint to the text of the story. Unfortunately, the actual text of the story is still something of a mess. And while Fletcher and Stewart have finally given one of Barbara's supporting cast a distinct personality, it seems that Frankie has been given the personality of the pre-New 52 Oracle-era Barbara Gordon. And making me think of better Barbara Gordon comics while reading this one is never a good idea. At this point, I am content to write off any incongruity I've noticed in this series regarding Batgirl's personality as being due to the manipulations of The Fuege. To that end, I'm dropping this title immediately and hoping someone else is writing the Batgirl books post-Rebirth.